So there’s a TV programme that I love called ‘How it’s made’. It takes the viewer through the manufacturing journey of a unit of production. An episode might focus on something small, like making a can of fizzy drink. Another episode might focus on something HUGE, like building a cruise ship…but there is a similarity within. 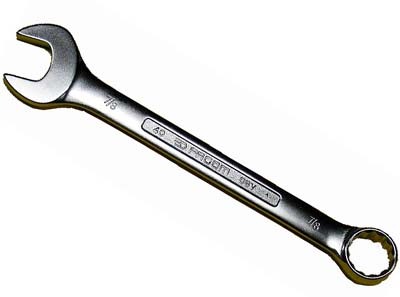 The other day I watched an episode that showed how a spanner was made (a ‘combination wrench’ if we are being techy). Watch it here (it’s only 5 mins). I don’t have a genetic make-up passed on to me – I don’t have a mum and dad! In short: I cannot think or communicate, which is ironic given that I appear to be writing this post J. Further, all of this is relatively static – it doesn’t change over time…other than perhaps the ever-so-slow process of entropy as I likely corrode. It doesn’t really matter what mood each worker on my production line is in, how they are presented…even what language they speak or views they hold. They will ‘process me’ and move on with their lives! If you go back to the monologue above and substituted a customer into the role of our hero, the spanner, you would find that all is most definitely NOT okay! Go on, take a short minute to do it – it’s a good exercise in realising how and why service and manufacturing are VERY different. * If that sounds awfully boring and techy, it’s meant to because that’s what computers are good at – algorithms, not people. Now, you might yawn and say “Steve, you are on your ‘service is different’ band wagon again” and you’d be right! You might even point me at some posts that I have already written in a similar vein. But the fact is that every single day we, as customers, experience service organisations treating us more like a spanner than a person. This likely causes huge frustration, failure demand and negativity towards the service being experienced. Do you sometimes feel like you are being treated like a spanner instead of a customer? Conversely, if you work in a service organisation (or service value stream), what do you think your customers feel like? I’m not saying that this is necessarily achievable…it’s more of a challenge towards which we should be pointing. At its most basic it is a sobering antidote to all those out there running in the other direction whilst chanting the ‘standardise and specialise’ mantra. So I expect we have all heard the phrase ‘Economies of Scale’ and have a view on what is meant. The phrase is probably covered within the first pages of ‘Economics 101’ and every ‘Beginner’s book of management’. I think the idea has even leaked out of these domains and is used in every-day parlance. It is seen merely as ‘common sense’*. So what is the thinking behind ‘Economies of Scale’? Let’s start at the beginning: Why is it said that we benefit from ‘economies’ as an organisation grows larger? The idea in a nutshell: To run a business you need resources. As you grow, you don’t necessarily need a linear increase in those resources. Basic example: A 1-man business premises needs a toilet (if he needs to go, well he needs to go). But when the next person joins the growing company he doesn’t get his own personal toilet written into his ‘remuneration package’. No, he has to share the existing toilet with his fellow employee. You can see this logic for lots of different things (one building, one IT system, one HR manager…. ), but I reckon a toilet is about as basic as it gets. The theory goes that as the volume of output goes up* then unit costs come down (where unit cost = total cost/ units of output). It should be noted that the classical economists that came up with the theory did accept the idea of ‘diseconomies of scale’: that of costs rising as growing organisations become more complex, more bureaucratic…basically harder to manage. You’ll likely see all this expressed in economics text books with a very simple diagram (below) and, voila, it is surely so! Indivisibility: Some resources aren’t divisible – you can’t (easily) have half a toilet, a quarter of a receptionist, 1/8th of a manager and so on. Specialisation along with Standardisation: this reason goes way back to the writings of Adam Smith and his famous book called ‘The Wealth of Nations’ (1776). In it, he used the example of a pin factory to explain the concept of ‘the division of labour’. He explained that one person performing all the steps necessary to making a pin could perhaps make only 20 pins a day but if the pin-making process were broken up into a series of limited and standardised operations, with separate people performing them in a joined-up line, productivity could rise to thousands of pins per day per worker. Machinery: Investing in ever larger machines mean that they can turn out more and at a faster rate…and our beloved unit costs come down. In service organisations the equivalent could be a ‘bigger, better’ telephone system, IT system,…etc. Sounds like a water tight case to me – ‘Economies of scale’ proven, case dismissed! Taiichi Ohno developed the Toyota Production System (TPS). In so doing, he used totally different thinking, with profound results. The big difference – Flow, not scale, as the objective: Ohno concentrated on total cost, not unit costs. He realised that, first and foremost, what matters is how smoothly and economically a unit of demand is satisfied, from initial need through to its completion (in the eyes of the customer). There’s no point in a particular activity being made ‘efficient’ if this is detrimental to the flow. …which cause a huge amount of waste and failure demand. Ackoff made incredibly clear in his systems TED talk (using the automobile as his example) that trying to optimise the components of a system will not optimise the system as a whole. In fact, the reverse will be true and we can expect total costs to rise. 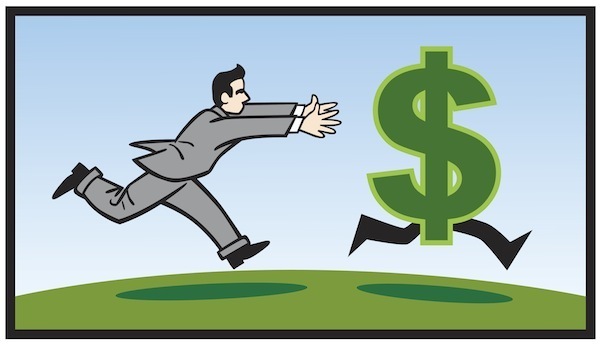 Rather than trying to get the cost of a specific activity down, Toyota (and other system thinkers) focus on the end-to-end horizontal flow (what the customer feels). This is a different (systemic) way of thinking and delivers far better outcomes. It is no coincidence that Ohno is also credited with much of the thinking around waste. It is only by thinking in terms of flow that waste becomes visible, its sources understandable, and therefore its reduction and removal possible. In short, Cost is in flow, not activity. These all seem counter-intuitive to an ‘economies of scale’ mindset, yet deliver far better outcomes. (How) does this apply to service? Centralisation: Seeing ‘shared services’ as the answer using the “there must be one good way to do everything” mantra. loosening the link between the customer and the (now distant) service. Automation: Continually throwing Technology at ‘the problem’ (usually trying to standardise with an ‘out of the box’ configuration because that will be so much more efficient won’t it) and, in so doing, creating an ever-increasing and costly IT footprint. Whilst technology is amazing (and can be very useful), computers are brilliant at performing algorithms (e.g. calculations and repetition) but they are rubbish at absorbing variety, and our attempts at making them do so will continually create failure demand and waste. In summary: ‘Economies of scale’ thinking is more damaging in service because of the greater variety in demand and the nature of the required outcomes. Further, I get that some of you might say “you’ve misunderstood Steve…we aren’t all running around saying we must be big(ger)!”…but I’d counter that the ‘economies of scale’ conventional wisdom is implied in a relentless activity cost focus. “There is a time to admire the grace and persuasive power of an influential idea, and there is a time to fear its hold over us. The time to worry is when the idea is so widely shared that we no longer even notice it, when it is so deeply rooted that it feels to us like plain common sense. Credit: The ‘Economies of scale’ explanation comes from reading a John Seddon paper. Being fair to Adam Smith: He understood that the specialisation of tasks can lead to “the almost entire corruption and degeneracy of the great body of the people [the workers]. … unless government takes some pains to prevent it.” i.e. it might be great for the factory owners…but their workers are people, not machines.